Thor buses are typically small buses that are great for academic institutions. Also often used as a means of transport for disabled persons, Thor buses can be fully ADA-equipped as well. This type of small transit bus uses a lot more electricity than any common passenger car, truck, or SUV. Thor buses that are ADA-equipped have equipment inside of the vehicle to help transport those in wheelchairs. Because of this, a Thor bus needs a heavy duty alternator, one that can withstand all of the power needed to run these extra components. The stock alternator in a Thor transit bus is a 124-130 Ampere alternator, capable of withstanding large electrical loads. However, this high output alternator is also high amp. What this means is that the engine revs much higher on idle, because of the type of alternator used in the vehicle. 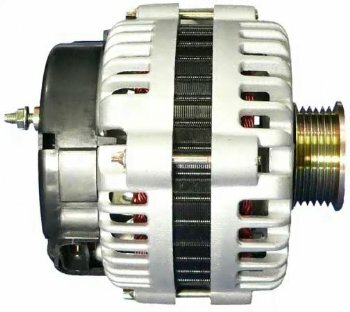 Eco-Tech has designed a simpler solution that provides you with a high output, low amp alternator. The Eco-Tech model is powerfully built, but creates much less strain on the engine. In addition to engine wear and tear, high output, high amp alternators are damaging for several other reasons. They also put unnecessary strain on the battery and the alternator itself. They may also cause transit bus owners to install extra components to provide better performance. These may include high idle devices, load shedding devices, and multiple battery packs. With Eco-Tech, no extra components are needed. The switch to Eco-Tech also provides you with peace of mind that you are doing something better for the environment. 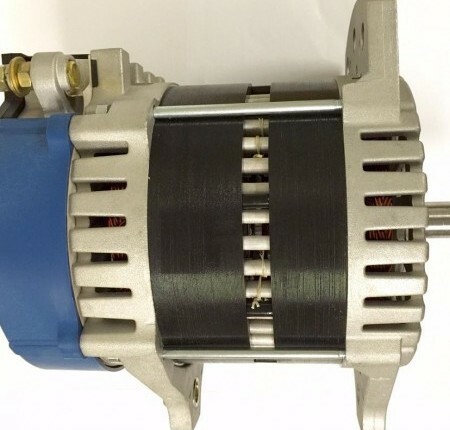 An Eco-Tech alternator experiences a 52 percent less fuel penalty. This also equates to saving thousands of dollars per year on extra fuel. Engine drag is also decreased by 50 percent with a switch to Eco-Tech. Comparing the two alternators side by side, the benefits of switching to Eco-Tech far outweigh the competition. With money saved on wear and tear and fuel alone, the switch to Eco-Tech is a clear one.